Positron emission tomography (PET) is a fully quantitative technology for imaging metabolic pathways and dynamic processes in vivo. Attenuation correction of raw PET data is a prerequisite for quantification and is typically based on separate transmission measurements. In PET/CT attenuation correction, however, is performed routinely based on the available CT transmission data. 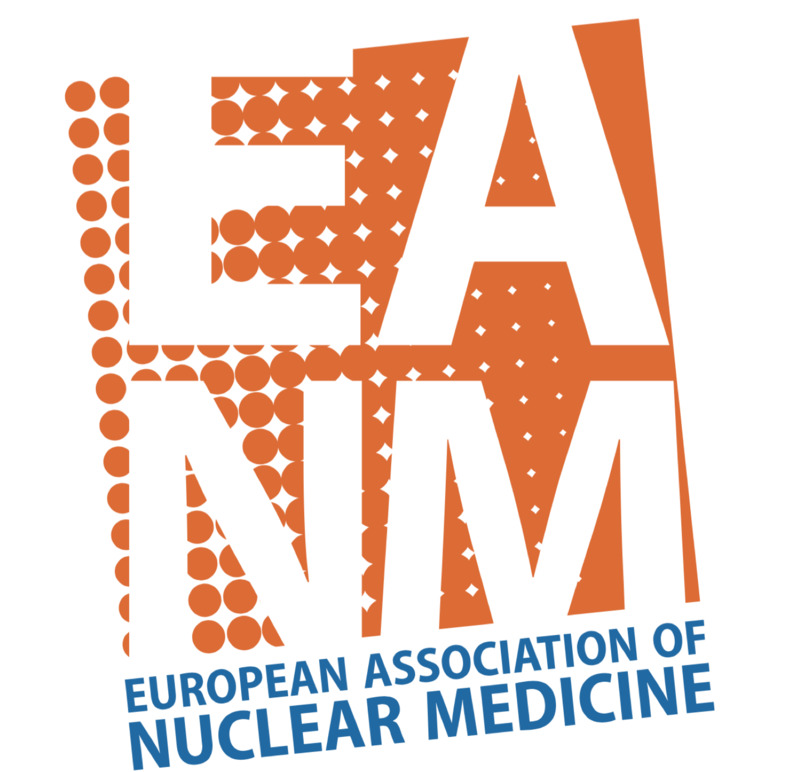 Recently, combined PET/magnetic resonance (MR) has been proposed as a viable alternative to PET/CT. Current concepts of PET/MRI do not include CT-like transmission sources and, therefore, alternative methods of PET attenuation correction must be found. This article reviews existing approaches to MR-based attenuation correction (MR-AC). Most groups have proposed MR-AC algorithms for brain PET studies and more recently also for torso PET/MR imaging. Most MR-AC strategies require the use of complementary MR and transmission images, or morphology templates generated from transmission images. We review and discuss these algorithms and point out challenges for using MR-AC in clinical routine. MR-AC is work-in-progress with potentially promising results from a template-based approach applicable to both brain and torso imaging. While efforts are ongoing in making clinically viable MR-AC fully automatic, further studies are required to realize the potential benefits of MR-based motion compensation and partial volume correction of the PET data. Combined PET/CT has emerged as a powerful imaging modality for the diagnosis, staging and restaging of a variety of cancers . Less frequently perhaps, PET/CT is being used for cardiology and neurology examinations. In general, PET/CT examinations provide complementary and intrinsically coregistered CT and PET image volumes, whereby the CT transmission data are also used routinely for attenuation correction (AC) . In general, CT-based AC (CT-AC) is based on a piecewise linear scaling algorithm that translates CT attenuation values into linear attenuation coefficients at 511 keV [3, 4]. By using the CT images for the purpose of AC, lengthy PET transmission scanning with conventional rod- or point sources (TX-AC) has become obsolete in commercially available PET/CT tomographs. Recently, a combination of PET and MRI has been proposed as a promising alternative to existing dual modality PET/CT systems, and the first images of patients were presented in late 2006 . The realization of PET/MR tomographs beyond small-animal imaging prototypes [6, 7], however, remains challenging. In particular, the lack of conventional or X-ray transmission sources mandates alternative approaches to AC of the complementary emission data . Since current concepts of combined PET/MR tomographs do not allow separate CT-like transmission sources, PET attenuation coefficients need to be calculated from the available MR images. CT images are required at effective CT energies of 70–80 keV and represent the pixel-wise distribution of attenuation coefficients and, thus, yield a measure of the electron density in the image volume. In contrast, MR images reflect the distribution of hydrogen nuclei (Fig. 1). Thus, MR-based AC (MR-AC) is far more challenging than CT-AC since MR image voxel values correlate with the density of hydrogen nuclei in tissues and tissue relaxation properties rather than with the electron density-related mass attenuation coefficients of these tissues. Therefore, a direct mapping of CT-like attenuation values from available MR images is challenging . Although preclinical PET/MR prototype systems  have been around since the early 1990’s, MR-AC is still work in progress. While early preclinical PET/MR design concepts did not include means for AC [6, 7], a relatively simple two-class AC scheme was suggested for the first clinical prototype . The lack of viable MR-AC methods today can be explained by the fact that attenuation is less critical in small animals than in patients, and, therefore, the issue of AC was of less importance in preclinical PET and PET/MRI. As the recognition of combined PET/MR imaging is increasing we review the status of estimating PET attenuation maps from available MR images in clinical PET/MR imaging scenarios. We discuss potential pitfalls of MR-AC as well as a number of advantages inherent to MR-AC that could make it more useful than CT-AC where applicable. Table 1 summarizes the main approaches to MR-AC for imaging patients. Interestingly, several studies on MR-AC appeared when such combined devices were not yet considered seriously for clinical use. These early studies were focused on applications in the brain PET [11, 12]. With the considerations of clinical PET/MR prototypes several groups have proposed algorithms for extracranial MR-AC as well [9, 13]. Four subjects; 1.5-T MRI with T1-W; linear coregistration of MRI to TX and four-class segmentation/mu-assignment (brain 0.099 cm−1, bone 0.146 cm−1, sinus area 0.054 cm−1, soft tissue 0.095 cm−1). Suggest also a template-based AC (T-AC) with MR and TX data warped to SPM2 templates and using measured TX-based mu for AC. MR-AC challenged by differences in patient positioning, lack of MR surface coils and coregistration accuracy. Future: complementary PET/CT and MRI datasets allow evaluation of singular steps in MR-AC when comparing to CT-AC as gold standard. All studies compared PET with standard PET AC (TX-AC) and MR-AC. Note: different studies used different reconstruction and correction techniques and, therefore, the results may not be directly comparable. mu linear attenuation coefficient at 511 keV, T1-W T1-weighted MRI sequence, TX transmission scan, T-AC template-based AC, Future extension of the study-related research as proposed by the authors. MR-AC for brain applications was first addressed by Le Goff-Rougetet et al., who proposed a method to calculate PET AC factors from MR images in clinical examinations when both PET and MRI were required . They argued that MR-AC helps simplify the clinical protocol and reduces the patient dose from standard PET transmission scanning. Their methodology, which they first applied to an FDG/water-filled, cylindrical Lucite phantom, is based on a coregistration of the MR images to the PET transmission images using a surface matching technique. The coregistered MR images are then segmented into three classes (Table 1). Air is considered only outside the patient. Appropriate linear attenuation coefficient values (μ) at 511 keV are then assigned to these tissue classes. El Fakhri et al. also mentioned MR-AC, but they did not provide further details of their implementation or a performance evaluation. In a personal communication the authors stated that they acquired two MR sequences for each subject and performed a cluster identification on the joint histogram prior to assigning the corresponding attenuation values. An alternative method for MR-AC in brain PET was suggested by Zaidi et al. . The authors had previously shown that the quality of PET neurology imaging was insufficient when standard PET AC methods were applied . Therefore, they studied the use of MR-AC in brain PET (Table 1). They present a workflow based on the availability of coregistered PET images, following standard (ellipse-fitted) AC, and MR images . Using a segmentation method based on fuzzy logic the coregistered MR images are segmented into five tissue classes that are assigned attenuation coefficients at 511 keV. The entire process for MR-AC was reported to take 10 min on a Sun SPARC with minimal user intervention. Like Le Goff-Rougetet et al., the authors account for the head holder before using the segmented MR-based attenuation map for MR-AC. A viable alternative to multistep segmentation procedures [12, 16] is to use atlas co-registration (Fig. 2). For MR-AC, an atlas typically consists of a template MR image together with a corresponding attenuation label image. The template MR image can be obtained as an average of co-registered MR images from several patients. The label image could represent a segmentation into different tissue classes (e.g. air, bone and soft tissue) or a coregistered attenuation map from a PET transmission scan or a CT scan with continuous attenuation values. The template MR is warped to the patient-specific MR image volume. When applying the same spatial transformation to the atlas attenuation image a corresponding patient-specific attenuation map is generated. Atlas-based approaches to MR-AC were presented by Kops and Herzog  and Hofmann et al. . Kops and Herzog generate a template of PET transmission images from the data from 10 patients that is matched to the PET transmission template within SPM2 . The MR template within SPM2 (which is already aligned with the PET transmission template) is normalized to the MR image of the patient. The obtained transformation is then applied to the template attenuation image to yield an attenuation image for this patient. The same group has also employed MR-AC based on an MR segmentation method by Dogdas et al. following linear coregistration of the MR image to the measured PET transmission image. Hofmann et al. have suggested a revised atlas approach to MR-AC . Here, the authors utilize a set of aligned MR-CT image volumes of 17 patients. Each of the available 17 MR image volumes from the MR-CT pairs is coregistered to the MR image volume from the PET/MR study. The coregistration vectors are applied to the corresponding CT image volumes thus generating 17 CT image sets that are aligned to the MR image set from the patient. Subsequently, a pattern recognition approach is used to match the MR image of the patient with the appropriate CT information from the MR-CT dataset that best matches the patient information. This voxel-based approach can merge partial subvolumes from independent datasets into a single CT volume that is used for MR-AC of the patients. This atlas-based algorithm was validated on three clinical datasets comparing MR-AC to the gold standard CT-AC . Due to the lack of prototype systems for whole-body PET/MRI studies of MR-AC, algorithms for extracranial applications are scarce. Beyer et al. set up a toolbox that facilitates cross-validation of MR-AC and CT-AC using matching PET/CT and MR image volumes  from 10 patients. They studied ten patients who underwent routine torso scans with arms up on a combined PET/CT tomograph. 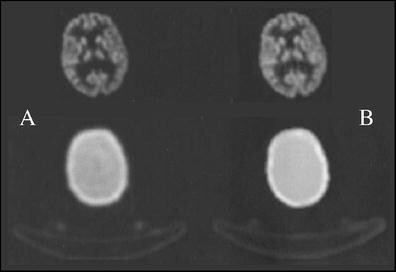 Within 1 day of the PET/CT examination, complementary MR scans were acquired. MR imaging was performed on a 1.5-T system with patients positioned with their arms down. Single-station, transverse T1-weighted VIBE MR images were used to generate pseudo-CT images. First, the MR images were coregistered to the CT images using nonlinear curvature-regularized coregistration in conjunction with mutual information. Second, the MR voxel value intensity distribution was matched to that of the coregistered CT image. MR-CT intensity transformation was performed in a three-step process based on a nonproprietary histogram-matching algorithm. PET images were reconstructed on the PET/CT console following AC based on CT transmission images (PETCTAC) and MR-based pseudo-CT images (PETMRAC). Although predominantly used for brain imaging, atlas-based methods can also be applied to whole-body imaging. However, anatomic variability is high and it is unlikely that a general spatial transformation captures all variables between a template and patient-specific anatomy. Hofmann et al. presented a machine learning approach that combines the information from an atlas registration with local information that is extracted from small image patches. Thus this method is less dependent on accurate template-to-patient registration. Validation was performed on two whole-body rabbit datasets and, in ongoing work, on five human torso datasets . MR-AC can be evaluated by comparing the PET images obtained following standard TX-AC, CT-AC and MR-AC. We refer below to these images as PETTXAC, PETCTAC and PETMRAC, respectively. Both TX-AC and CT-AC have their shortcomings. Depending on the scan time, TX scans have relatively high noise levels that can be detrimental to AC. CT scans on the other hand have very low noise levels, but the mapping from CT Hounsfield units to 511 keV attenuation values can be incorrect, particularly in the case of inorganic materials such as metal implants. Despite these problems, both TX-AC and CT-AC are commonly used and accepted. In accordance with the literature we present both PETTXAC and PETCTAC as the gold standard against which PETMRAC should be compared. The comparison can be done visually or quantitatively by means of relative differences of the reconstructed PET activity distributions. Differences can be assessed on a voxel-by-voxel basis, or perhaps more commonly for regions of interest (ROI). ROIs can be defined automatically or manually by a human expert. For a study with n patients, where p ROIs are defined for each patient, it is impractical to quote all n times p differences. Therefore, it is preferred to report either the maximum differences or the mean absolute difference across all voxels. Some authors have quoted the mean differences, where the mean was taken from the positive or negative differences. This value only indicates the existence of an overall bias in the method; a value of zero for the differences would merely indicate that activity was overestimated as often as it was underestimated. For a summary of the results of the most significant studies on MR-AC see Table 1. Le Goff-Rougetet et al. evaluated their MR-AC method for phantoms and a patient scan. Using ROIs within selected axial images of the phantom they found a maximum difference of 11% between PETMRAC and PETTXAC. The patient study revealed a maximum difference of 12%, primarily in the occipital cortex. In the study by Le Goff-Rougetet et al. an expert placed ROIs into different regions of the brain of the coregistered MR images. However, ROIs were not placed in the lowest and highest slice of the MRI volume as their MR segmentation method still needed refinement for these areas. Figure 3 shows brain images of an FDG-PET study by Zaidi et al. comparing segmented MR-AC with a standard, transmission-guided AC. The quality of the PET images following MR-AC appeared somewhat improved, which could be attributed to the lower noise levels in the MR-based attenuation maps (Fig. 3b). Analysis of the differences between the two methods of AC was performed across 10 patient sets. Despite a tendency of the method to lead to activity overestimation, overall correlation of ROI activity values on PETMRAC and PETTXAC was good (r 2 = 0.91), indicating the feasibility of segmented MR-AC as suggested by the authors (Table 1). Kops and Herzog  validated their MR-AC algorithm in four patients (Fig. 4). An analysis of ROIs drawn on cortical and subcortical structures demonstrated that PETMRAC differed from PETTXAC by less than 10%. Maximum differences were observed again in the occipital cortex and in the caudate nucleus. The same group also evaluated a template-based AC, which resulted in a 9% difference from PETTXAC. Hofmann et al. evaluated their method with three patient scans. Automated ROI analysis of PETMRAC and PETCTAC yielded a mean absolute difference of 3% and a maximum difference of 10%, which is similar to the previous MR-AC approaches to brain PET (Fig. 5). Data on the utility of MR-AC for torso or whole-body applications are still sparse. Beyer et al. presented a set-up that allows comparison of PETMRAC and PETCTAC using datasets from the same patients (Fig. 6). However, in reality such complementary datasets are not available from PET/MR studies and, therefore, this toolbox can be used only as guidance in the evaluation of pitfalls in MR-AC. Nonetheless, the authors were able to demonstrate that histogram matching is a feasible technique to transform MR to pseudo-CT attenuation values if the MR image quality is high and MR images are free of distortions. In those cases where the MR image is distorted the PET images will be affected by MR-AC. The study illustrates the need for accurate patient positioning between MRI and PET scans without quantifying these effects further. In an ongoing study, Hofmann et al. aim to use an atlas-based approach to MR-AC that is applicable to the human torso, and possibly whole-body imaging. Their method can predict bone structures on MR sequences that typically do not allow intensity-based segmentation of bone. Figure 7 shows the initial results from atlas-based MR-AC for areas outside the brain. 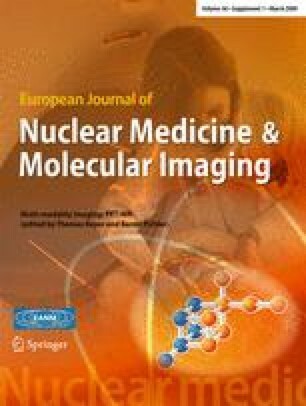 Various approaches for predicting the attenuation maps from MR images on PET/MRI examinations of patients are reviewed. While segmentation-based approaches work well for brain applications, torso imaging with PET/MRI may require more sophisticated methodologies such as atlas-based image transformations from MR images to pseudo-CT images. In general, MR-AC not only needs to address adequate transformation of MRI pixel value information to appropriate PET attenuation values, but also, in order to be viable in clinical routine. needs to account for additional pitfalls in torso and whole-body imaging. The pitfalls include the accurate representation of bone (typically not seen on MR images), potential truncation effects from patients extending beyond the transverse field-of-view (FOV) of the MR system and the presence of MR surface coils typically not seen on MR imaging. As bone structures are difficult to separate on MR images a straightforward approach to MR-AC would be to simply ignore bone. This is not a new approach, and was shown in early studies on CT-AC to be of less impact than originally expected [20, 21] despite the fact that the fraction of cortical bone varies in axial images. Figure 7 shows an example of CT-AC performed with and without consideration of bone. This example illustrates the minimum bias expected from ignoring bone attenuation and considering this tissue class as soft tissue. In practice, an MR-AC algorithm that ignores bone tissue may also falsely attribute air as soft tissue (Fig. 1) and thus introduce a much higher bias. In a conference abstract Martínez-Möller et al. recently reported a patient PET study processed with MR-AC without consideration of bone compared with CT-AC. Based on an ROI analysis the authors reported mean differences of 1.7%, 7.3% and 2.9% for lung, bone and neck lesions, respectively. They concluded that MR-AC without accounting for bone tissue does not lead to a clinical bias. However, further studies are required to estimate the bias on uptake in bone metastasis in case MR-AC is performed without considering the presence of cortical bone. Instead of performing advanced segmentation methods on standard MR images one may utilize dedicated MR sequences, such as ultrashort echo time (UTE) sequences [23, 24] that yield signal even from cortical bone (Fig. 8). Typically, the use of just a single UTE image does not enable bone to be separated from non-bone tissues. However, when combined with a late echo image it is, in principle, possible to detect bone as that structure that yields signal on the short echo image, but not on the late echo image (Fig. 8). By using multiecho sequences  the two images can be acquired in one scan. While it seems promising for brain applications, it may not be acceptable as part of whole-body imaging protocols since the acquisition time is on the order of several minutes per bed position. Which of the presented MR-AC methods will be accepted in clinical routine will depend not only on which MR-AC method yields the highest accuracy, but also the accuracy considered sufficient for clinical work. If, for example, variations of up to 10% in PET activity values are considered acceptable in clinical routine, then methods with higher accuracy might be dismissed while giving preference to methods with other advantages such as robustness or computational speed. PET uptake values, such as the measured standard uptake values (SUV), are affected by many factors such as uptake time, body composition, glucose load and others that are independent of the imaging device . In the absence of simultaneous PET/MR systems, validation of whole-body MR-AC is inherently difficult; movement of the patient between MR and PET(/CT) examinations is unavoidable. Therefore, even if the attenuation map could be predicted with a high accuracy from the MR image, patient movement between the MR scan and a TX or CT scan may still cause the MR-predicted attenuation map to be different from the reference scan attenuation values, thereby also causing a difference between PETMRAC and PETCTAC. Several authors [9, 13] have suggested compensating for patient movement between scans by performing nonrigid MR-CT coregistration. It should, however, be noted that not all motion-related misalignments can be corrected. For example, pockets of gas in the abdominal region may vary significantly between scans, or not even appear on one of the two complementary studies. In addition, the validation of nonlinear coregistration algorithms remains an open issue  that requires addressing if coregistration is to become an integral part of routine MR-AC. In clinical PET/MR imaging patients may well extend beyond the transverse FOV of the MRI system. Thus, the arms and even the trunk of the patient may not be fully covered by the MR image. Nonetheless, the contribution of the truncated anatomy to overall attenuation needs to be accounted for. The very same problem was described for PET/CT applications where truncated attenuation maps were shown to yield significant image distortion and bias near the area of truncation [28, 29, 30, 31]. Recently, Delso et al. discussed the effect of MR truncation on MR-AC . Their study showed that when the arms were outside the FOV the PET activity after AC was biased by up to 14% in that area . Using simple image processing techniques they were able to recover the arms in the truncated image and thus reduce the quantification bias to 2%. An alternative solution would be to use the uncorrected PET image to estimate the patient cross-section in those areas outside the measured FOV where no MR information is available. The feasibility of such an approach still needs to be validated. In imaging scenarios with highly specific tracers the arms may be difficult to segment automatically in the uncorrected PET images. Yet another approach would be to predict the body cross-section through atlas matching outside the FOV of the MR image. In theory, these approaches could even be combined such that the atlas co-registration is performed based on the MR image where the MR image is available, and elsewhere based on the uncorrected PET image. The fact that the MR coils are located inside the FOV of the PET system is a challenge that has not yet been addressed by any of the studies on MR-AC. For brain scans, the head coil is rigid and its attenuation values can be estimated from a baseline CT scan. Subsequently for any PET/MR study only the relative position of the head coil inside the PET/MR system would be required. For extracranial examinations the situation is far more difficult. Surface coils are required to avoid suboptimal signal generation (Fig. 6). Surface coils contain elastic components and hence cannot be located easily with respect to the gradient coil or the patient. MR sequences with UTE could possibly help detect surface coil landmarks and thus help account for their attenuation. Ideally, for application in clinical PET/MRI scenarios MR-AC should be fully automatic in order to limit user interaction and, subsequently, examination and processing times. Despite claims of some groups that their method for MR-AC is “robust", problems remain that require “some manual intervention of the operator” . Thus, automation of MR-AC remains a challenge, particularly in patients with a large deviation from normal anatomy. In PET/CT the PET image is acquired over several minutes, while the CT scan is a matter of seconds and is frequently acquired during a single breath-hold. As a result, patient motion typically causes local misalignment between the PET and CT images and may lead to serious artefacts for AC, for example near the diaphragm . Some authors have recommended 4-D PET/CT acquisition and AC [33, 34]; however, this may involve a substantially higher patient radiation dose. As an MRI examination typically takes much longer than a CT exam, patients conceivably spend an even longer time in an PET/MRI system than in a PET/CT. Consequently, patient motion is likely to cause even more severe artefacts in PET/MR than in PET/CT. Here, the use of periodic MRI navigator signals in conjunction with a 4-D model of the human torso may help to correct for motion-induced image degradation in PET/MR data following 4-D MR-AC, which would be a major advantage over CT-AC. As early as 1991, Leahy et al. suggested that PET reconstruction could be improved by using anatomical MR images from the same patient as prior information. This remains a field of active research and the potential of the method can be seen in Fig. 9. While it is commonplace today that almost all neurology patients who receive a PET scan also receive an MR scan, MR-guided PET reconstruction has not yet made the transition from research into clinical routine. Aside from logistical problems of automatically retrieving the matching MR image from the PACS, one of the reasons for this might be that misregistrations, which are unavoidable in retrospective PET–MR coregistration, quickly lead to deterioration of image quality . In combined PET/MR tomographs, the coregistration accuracy is improved and may help promote the concept of MR-guided PET image reconstruction. Even if the PET image is reconstructed independently of the MR image, it is still possible to use the MR image of the patient as an aid for improved quantification. In particular MR-guided partial volume correction (PVC) was suggested as early as in 1990 [38, 39]. Again PET and MR images from combined PET/MRI examinations may facilitate improvements in MR-based PET quantification through the use of MR-based PVC. With the onset of a research interest in combined PET/MR imaging several studies have appeared on the use of MR for AC of the PET data. MR-AC is not as straightforward as CT-AC that allows the estimation of 511 keV–attenuation maps from CT transmission images. In the absence of CT-like transmission sources in PET/MR alternative solutions to MR-AC include the use of complex segmentation tools that were shown to work for brain applications. In extra-cranial PET/MR other approaches that include atlas-matching appear more promising. While MR-AC is work-in-progress further advantages of MR-AC over CT-AC become apparent, which include the additional use of MR for retrospective motion correction or partial volume correction of the PET. Bernd Pichler is a consultant for Siemens Medical Solutions. Thomas Beyer is an employee of cmi-experts. Kops RE, Herzog H. Alternative methods for attenuation correction for PET images in MR-PET scanners. Nuclear Science Symposium Conference Record, 2007. NSS ’07. IEEE. Vol. 6. p. 4327–30. doi: 10.1109/NSSMIC.2007.4437073.